PHILADELPHIA -- The more than 1,000 people locked up in Philadelphia jails because they didn't pay bail may have an opportunity to get released before trial now that city prosecutors will stop seeking the monetary payments for low-level crimes. 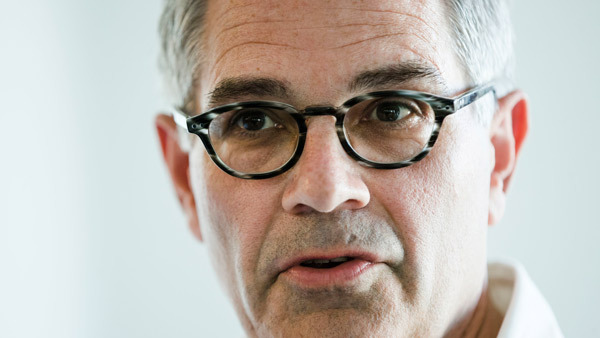 District Attorney Larry Krasner announced the policy shift last week and said that prosecutors won't request cash bail if pretrial inmates being held for those offenses were to get back in front of a judge. The directive, which went into effect Wednesday, could result in a slew of requests for bail reduction hearings. "We can not only try to make things better going forward but we can try to address the population in jail now," said Krasner, a civil rights lawyer who took office last month. Word of the new policy spread quickly among inmates in city lockups and some defendants have begun reaching out to their lawyers to see if this new policy could provide a way out of jail, said Mark Houldin, policy director of the public Defender Association of Philadelphia. Houldin, whose organization handles about 70 percent of the criminal cases in the city, said the group's lawyers are also delving into their cases to see if clients are being held on bail for the so-called minor crimes. Analysts said it's too early to determine how many of the city's inmates will try to have their bail amounts thrown out. It's also difficult to tell how many of them would succeed since judges have the final say on whether an inmate is released. But in a city that has strived to dramatically cut its jail population, a retroactive application of the district attorney's new policy could be another avenue in which to achieve that goal. Since 2015, officials said the number of people in city jails has dropped about 24 percent to roughly 6,100 inmates after the implementation of initiates such diversion programs and the decriminalization of several so-called minor infractions such as marijuana possession. Another process called Early Bail Review has resulted in the release of 804 inmates through the end of last year. Jules Epstein, a law professor at Temple University in Philadelphia, said Krasner's policy gives inmates a new way to challenge their detention. "It certainly is not unreasonable for any inmate to say 'Hey you've agreed that the bail system is broken, you've agreed that people in my condition shouldn't be held, how about me too,'" Epstein said.